For a summer Hen Party, this cocktail is a refreshing, fruity winner, filled with the old crowd favourites. We all like a little vodka, but the standard fizzy mixers are not classy enough for a Hen Party. Swap the cola for some cranberry and grapefruit juice, poured over ice, for a cool burst of fresh cocktail goodness. 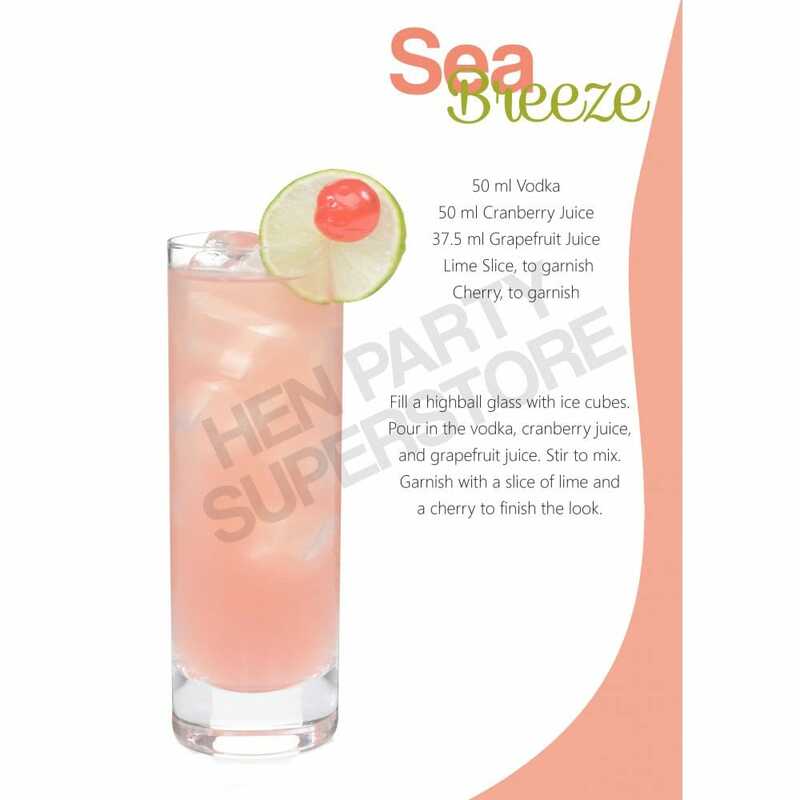 Just like a sea breeze, this cocktail will ripple away with every mouthful.